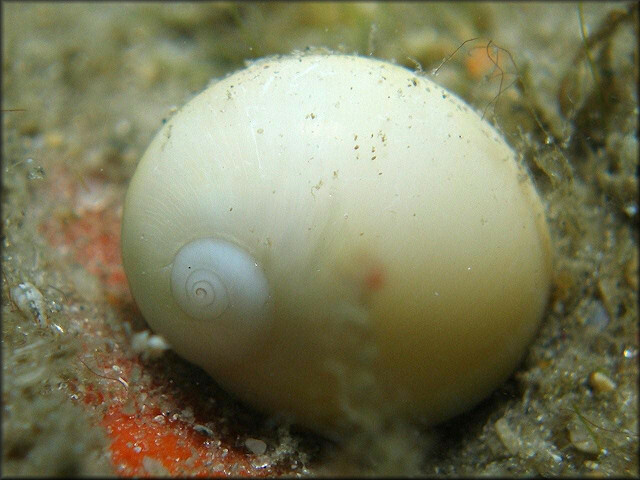 Milk moonsnail Polinices lacteus, copyright Deb Devers. Polinices is a genus of mostly white moon snails found in the Indo-Pacific oceans. Characters (from Oldroyd 1927): Shell oval or suboval, solid, smooth, spire short, sharp; aperture semicircular, inner lip oblique, callous, callus extending into umbilicus. Operculum corneous. Colour usually whie, sometimes coloured but not banded or spotted. [F77] Franz, D. R. 1977. Size and age-specific predation by Lunatia heros (Say, 1822) on the surf clam Spisula solidissima (Dillwyn, 1817) off western Long Island, New York. Veliger 20 (2): 144–150. [M49] Mason, B. 1949. The geology of Mandamus-Pahau district, north Canterbury. Transactions and Proceedings of the Royal Society of New Zealand 77 (3): 403–428. [W78] West, D. L. 1978. Reproductive biology of Colus stimpsoni (Prosobranchia: Buccinidae). I. Male genital system. Veliger 20 (3): 266–273.